When Children are young, they have to learn a lot. In school, they study many different subjects. For children to gain knowledge about eternity and to speak about the church, we first need to mention Catechism class. 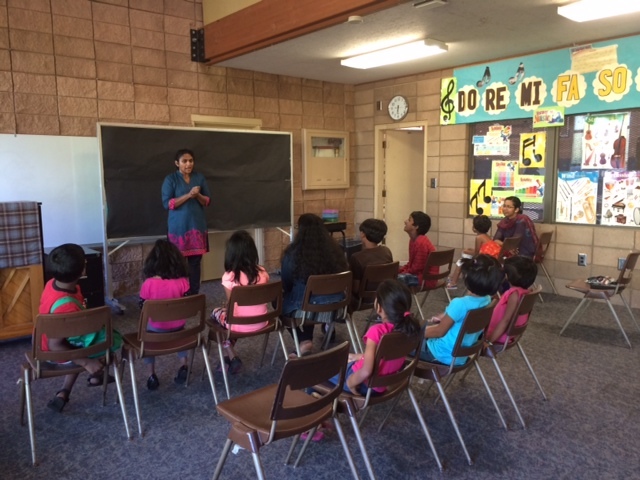 Sacred Heart Tamil Catholic Group provides Catechism classes every week for children of ages 4 to 12 years. Catechism class help build and strengthen faith in children. It fosters a god–centered curiosity in children. Catechism serves as a basic outline of Biblical truth. Any parent would prefer children to grow out to be good humans - so, it’s important to teach children to seek God and His teachings first. SHTCG’s catechism class provides children gain the knowledge of old Testament. On a weekly basis, they act out a play of what they had learnt. They are taught about the Gospel of the week – so, when they go for the mass on Sunday they will be able to follow and understand the Gospel interpretations better. 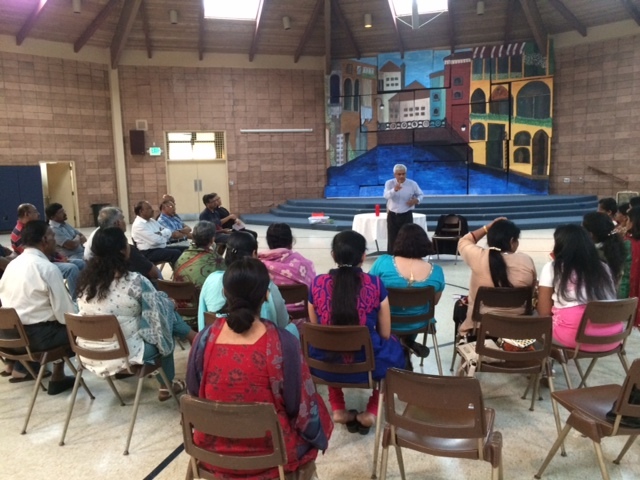 They also learn Tamil songs and English Hymns. The younger children learn by action songs and coloring sheets while the older kids learn through group discussions, sharing thoughts and by guiding the smaller children. Leading the children into a relationship with Jesus and helping them grow in their faith. children have fun and love to come. children feel they belong and feel safe. children experience and learn about Jesus’ love for them and feel comfortable enough to make the decision to give their lives to Jesus. children have an opportunity to build friendships. children are known and loved within the community. Kids groups are split into three groups based on age ( 4 - 7 yrs, 8 - 10 yrs, 10 yrs and above). Helping to build and strengthen faith in children, the class fosters a God–centered curiosity in children. The class helps in providing children knowledge of Old and New Testament. Every week we work on a new theme. We inform parents about the themes and subjects by email. It is our goal not only to tell the children a Bible story every week but also to teach them how to apply the Biblical truths in their daily lives. 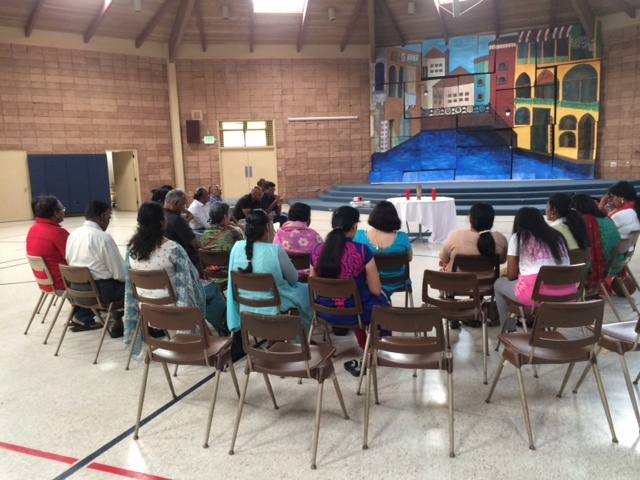 During our monthly mass, kids participate in the Rosary, the prayers of the faithful and sign the closing song in Tamil. We strive to teach the 15-minute Bible lesson in a creative and fun way. The Bible lesson will be taught in English. The purpose of the teaching is not only to tell a Bible story., but to teach the children how to apply biblical truths in their daily lives by giving practical examples or sharing testimonies. The above-mentioned teaching is presented in small groups by having group discussions, crafts, games, or acting out different situations. During the summer, we conduct a Bible camp for the children. We celebrate the birthday of the children in a small way on the last Saturday of the month. All the kids who had a birthday that month can come up front. We then ask two other children from Kids Catechism to pray for the “birthday children”. Before a volunteer/teacher starts to work regularly with Kids, we ensure that they are finger-printed and have the necessary certifications from the diocese. Teachers teach a 15-minute Bible lesson in a creative way. They prepare a subject in advance (from the curriculum), but as a teacher, they are free to use their own creativity. To make the teaching creative, they use different forms. They allow some kids and they act out the story, use pictures, movies, object lessons, quizzes, games, and much more. During preparation, they always pray for God's guidance before you start: “What do You want to say through me?and have answers for the below questions. What will the kids tell their parents when they ask their child about the lesson? What is the main point of my lesson? How can the kids apply the teaching in their daily lives? Kids practice songs in Tamil so they sing the closing song during our Holy Mass. Kids are also allowed to play the instrument that are most comfortable in for the song that all the children sing.